Witness the charms of Malaysia. Experience the true Asian hospitality and explore one of the most beautiful beaches of Asia. Spend 3 nights at the glitzy capital Kuala Lumpur with its rising and shining skyscrapers. Travel to what seems like another world, and live a life of dreams at Langkawi. Soak in the tranquility, peace, silence, solitude and sheer beauty of nature all around you. Let your mind succumb to total relaxation at Langkawi. 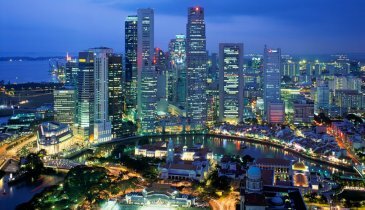 3 Nights Accommodation in Kuala Lumpur. 2 Nights Accommodation in Langkawi. Malaysia e-NTRI note is Visa waiver program eligible for Indian nationals tourist residing in India. This is a registration done through Electronic Travel Registration & Information (eNTRI) for which fee paid in India but the visa will be granted on arrival at Malaysian immigration entry point. Tourism Tax imposed by The Royal Malaysia Customs Department (RM13 per room per night) to be paid by the guest directly at hotel. As of now airfare for Delhi - Kuala Lumpur - Delhi (IndiGo Airlines) in the package is calculated at Rs. 18,000/- (per person). Any increase in the airfare to be Paid Extra. 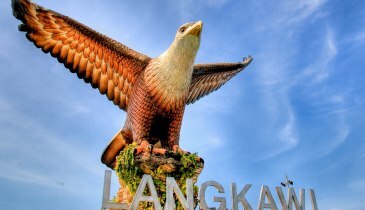 As of now airfare for Kuala Lumpur - Langkawi - Kuala Lumpur (AirAsia) in the package is calculated at Rs. 7,000/- (per person). Any increase in the airfare to be Paid Extra. Kindly be informed that the Tourism Tax imposed by The Royal Malaysia Customs Department will commence on 1 Sep 2017. Malaysian and permanent residents will be exempted from paying the tax, while foreign tourists will be charged a flat rate of RM13 per room per night for all hotel classifications. If cancellation is made any time not less than 11 days prior to departure, 20% or Rs. 12,500/- (whichever is higher) of tour cost, shall be deducted. If cancellation is made 10 to 05 days prior to departure, 50% of tour cost shall be deducted. If cancellation is made 05 to 01 day prior to departure, 75% of tour cost shall be deducted. In case passenger is no show at the time of departure, 100% of tour cost shall be deducted.